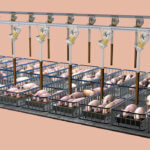 Cablevey Feeding Systems has specially designed animal feeding concepts to suit swine breeding and farrowing operations. Our effective equipment can provide undamaged feed to swine of all ages, from birth to full maturity. 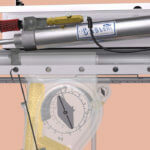 If you’ve struggled with systems that provide only automatic timed feedings, Cablevey systems are for you. Our feeding systems continually provide feed to each sow, but you also have the option of manually releasing feed, up to 100 drops per row, all at once. As with all of our feeding systems, Cablevey is the gentle way to convey! 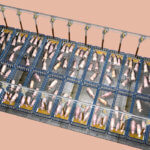 We know you’ve invested a lot of time and money to find the perfect feed blend for your animals, and Cablevey’s gentle conveyors deliver the feed through the system with minimal damage and optimum integrity.